Shacknews recently had a chance to speak with Turn 10 Studios content director Bill Wendl about Forza Motorsport 6. The topics included the lessons learned from Forza 5's microstransaction controversy, the new mod system, and the continuing challenges of keeping up with new automotive technology. 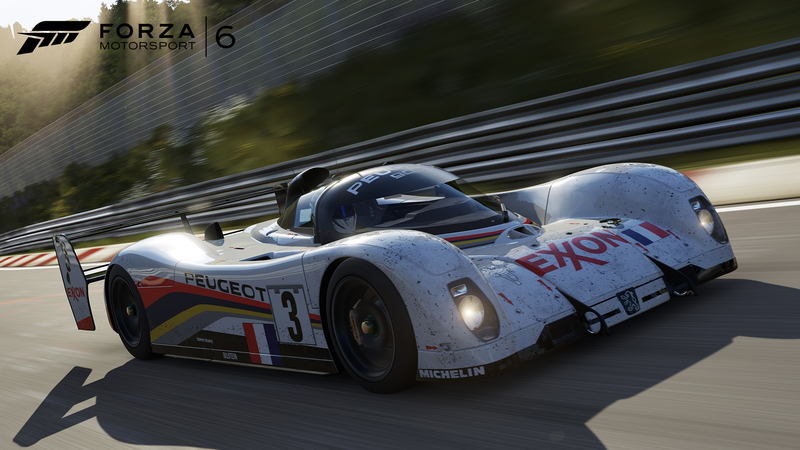 While it may appear on the surface that Microsoft and Turn 10 Studios can do little more to top themselves when it comes to the Forza series, Forza Motorsport 6 does appear to be on its way to doing just that, if our recent hands-on is any indication. However, the sixth installment of the Motorsport series also marks something of a turnaround in philosophy for Turn 10 and the series as a whole. When Forza Motorsport 5 released back during the original Xbox One launch, the game was packed with microtransactions. Many of those were slapped on cars with such astronomical in-game credit rates, it was almost impossible to earn them, even after playing at a reasonable pace. These vehicles were almost designed to get players to open their wallets, which was particularly galling for a full-priced 60 dollar game. Despite attempting to explain this decision, the fanbase had spoken and the outrage was clear. Turn 10 has apparently learned its lesson when it comes to microtransactions. Speaking during a roundtable interview, Turn 10 content director John Wendl made it clear that there would be zero real-money transactions for vehicles or credits in Forza Motorsport 6. "Between rewards for the Forza faithful, the new prize spinner, and increased payouts in the career, there's a lot of ways to earn [credits]," Wendl said. "We just basically wanted to remove that sort of friction. The only way microtransactions would come back is if sometime in the life cycle, players are asking for it, just as an option or something like that. We're hoping the in-game economy will support how people will play the game." In regards to the prize spinner, Wendl mentioned that there's a sense of skill to it, making it slightly easier to land on the big prizes. In fact, the other writer present had also won the same Bugatti Veyron that I had during my time with the game. If Forza 5 was outrageously difficult to earn everything, Forza 6 may be too easy. "If we were going to break the economy, we were going to break it on the other side this time," Wendl explained. "Some players are going to have too many credits. We'd rather err on that side this time than what we did last time, where there wasn't enough and it made people feel like we were pushing them towards microtransactions, which wasn't our intent." After discussing microtransactions and the lack thereof, the topic turned to the new mod system. Turn 10 made it clear that mods would only be a Career Mode addition, so as not to create any unfair advantages when playing against other people. But would the developer consider allowing mods to be used in a more private multiplayer setting? In particular, when playing against friends? "Maybe, maybe. It's very much a Career mechanic right now," Wendl answered. "We may discuss whether it makes sense in other modes or not. Given how non-competitive multiplayer is, it might make sense in some scenarios." 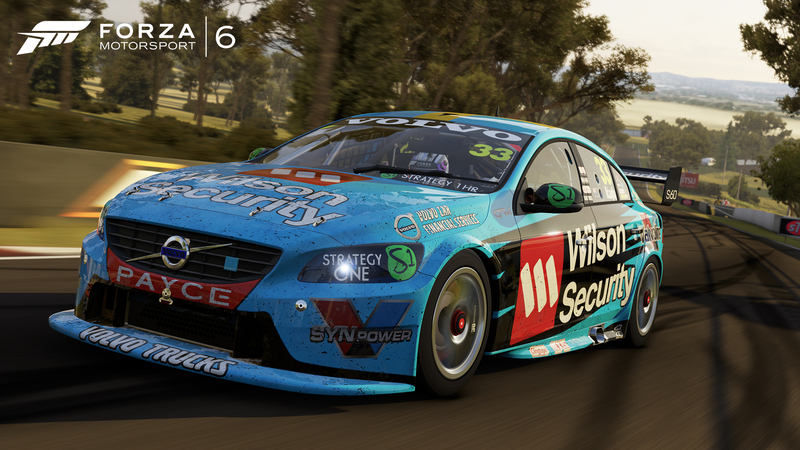 Forza Motorsport is also looking to boast over 450 cars, all viewable through Forzavista. While this is one of the Forza team's proudest accomplishments to date, there are still challenges that they relish for the future. "Each round, we get some cars that add new challenges," Wendl explained. "Like these new hypercars that are combination hybrids, was a real challenge for us, that have traditional gasoline-powered engines matched with a P1. A lot of these hypercars are now moving to this model, where they have two engines, basically -- an electric engine and a gas engine. Getting the sound and physics for all those right, these dynamic drive systems, we have non-linear dampers in the game now, as well, and these updated sophisticated differentials that control power to different wheels and things like that. We're always having to keep up with the modern automotive industry in making sure our physics simulation can represent that new technology as it becomes available." Of course, the game is still highlighted by the new line of Ford GT cars. Among the most fascinating reveals from Wendl, however, was that the 2016 Ford GT's design was, in some ways, expedited to help meet the game's demanding production schedule. "I had the privilege of being at Ford about a year ago and got to see the secret project when it was in development," Wendl said. "It was just a clay sculpture, basically, long before any formal form came to be. And it's tricky, because that car's not out for another year and here we are, shipping the final version. So in many cases, we were working with them to say, 'Okay, how is your gauge cluster going to work when you start the car? How does the active aero wing work in the back?' and they'd say 'We haven't gotten to that yet.' Well, we're shipping the game, so we need to figure this out. So in some cases, they actually had to change their development schedule to figure this stuff out, so we could actually ship the car in the game accurately. This car doesn't exist yet, technically." 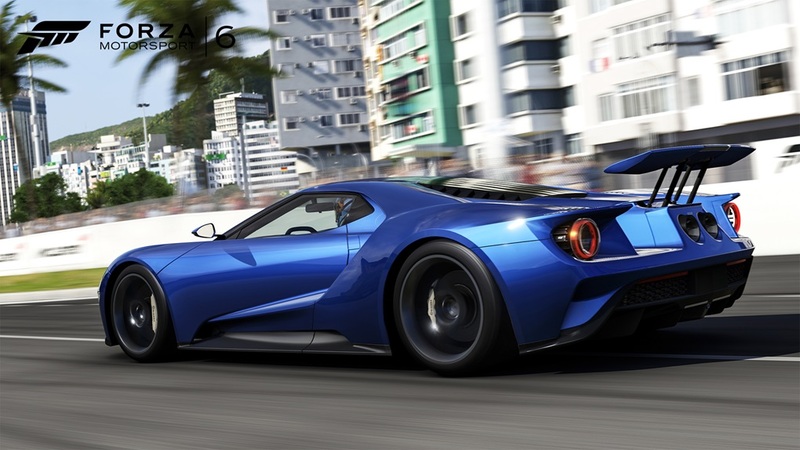 The Forza Motorsport 6 demo is currently available now on Xbox One. The full game is set to release on September 15.